Basics of photography aren't so basic... ...especially in the beginning! I'll admit it, I shot on auto for a long time. It was fast and easy but it didn't always result in the best image. And also to be quite honest with you, this stuff bores me to death. I've never liked the technical side of photography but it is something you need to understand to take decent photos. I'm going to give you the super basics here. I recommend checking out Expert Photography if you want the in-depth guide. Josh is a truly a master! There are three pillars of the basics of photography that you are going to want to know inside and out. The aperture decrease half of its size as the f-stop gets higher (f/22) allowing 50% less light through the lens. This is confusing in the beginning because a lower Fstop (f/1.4) means a larger aperture (or opening) and a higher fstop (f/22) means a smaller aperture. The shutter speed is the length of time that light hits the sensor, measured in seconds. This one is easy. The longer the shutter is open, the more light will be let into the camera resulting in a brighter image. The shutter also controls how motion is recorded. This one is easy. The longer the shutter is open, the more light will be let into the camera resulting in a brighter image. 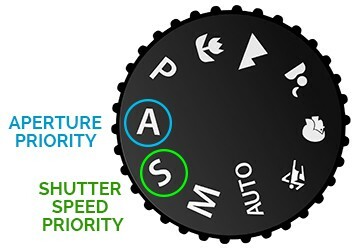 The shutter also controls how motion is recorded. ISO is the sensitivity of the sensor that captures the light. 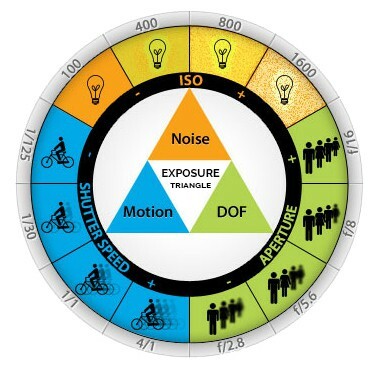 As you increase the ISO, you increase the amount of light, or "exposure", of the image but as a result, the quality decreases adding digital noise or "grain"
A low ISO of 100-400 is best during the day and allows for less digital noise. A high ISO of 1600 or higher is best in low light situations but has more digital noise. Some photographers may cringe at what I'm about to say, but here's a tip in the beginning , if this all makes your head spin, try shooting on the different shooting modes of your camera. For example, when you are first learning, this is great if you know you want to shoot sports and the motion is fast (shutter speed above 1/250) but you aren't sure where to set the aperture. Again, these basics of photography can be a lot to wrap your head around in the beginning. My advice is to keep shooting and keep practicing and like I said, it will become second nature.